There are so many different ways to incorporate technology into the classroom and so many different applications or websites to use. I will never claim to be a technology expert, but one thing my years of experience has taught me is that you just need to jump in. Take on one or two different tech tools during a year. At first start small, you want to become comfortable with the tools you are using. Then start trying out different features or looking up different ways to use the tech tools. I know for me just playing around with something, being hands on, helps me to discover how to use something and how I want to use something. Know that just because it is out there does not mean it is the best tech tool or just the best tool for you and your class. I try to limit the number of websites I use just so I don't overwhelm my students or myself. As teachers we are spinning enough plates we don't need to spin more than we need to. So with all of that said I'm going to talk about a few tech tools I use the most in my room and which ones I'm going to play with this year. Google Classroom- Google classroom is amazing and there are so many ways to use it. I have typically just made one class and used it for multiple different purposes. I post videos and ask students to comment or answer questions on it. I post links to games or websites we are using in class for the students to use or reference. I mainly use it as a way for students to open, create, and answer assignments. One of the great things about it is that students can access it from home or anywhere as long as they know their email. Cami- This is another Google app that you can use with Google classroom. After your students download this free app they can open documents in Cami. I love it because it allows me to scan in worksheets, outlines, etc and the students can write on them with Cami web tools. When I open them back in Google classroom I can grade them on the spot. It's just so awesome! It cuts down on paper and makes planning lessons that much easier. Classroom Dojo- I won't say much about this app because it's so great that I already wrote a blog entry on it. What I will say is that it is a great app for classroom management and family connection. It allows parents a better view of what occurs in the classroom and what their student is doing in class. Click Here to read more. Flubaroo- This is an add on for Google sheets/forms. Recently, Google has become more teacher friendly for creating and grading Google forms. Before all of these new features I have been using flubaroo and have loved all the possibilities. This add on allows you to grade Google forms and send them back to students. It can grade multiple choice questions and one word answers quickly. It also allows a hand grading option where you can give any amount of credit you want to the longer answers the students give. I have used them strictly for quick check ins and spelling tests. 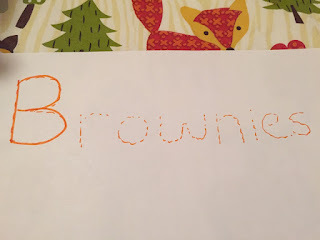 It has been the easiest and most painless way for me to grade spelling....so of course I love it! This year I plan on trying just a few different tech tools. Class flow- Classflow looks like an amazing way to make lessons and power points more interactive. 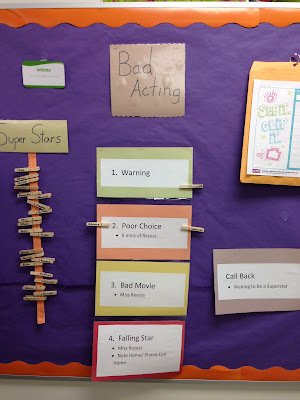 Students can respond to examples and teachers can pull them up on the board to go over them. Also, the teacher can share slides or the entire powerpoint with the students so they can follow along during a lesson or reference the information. I can't wait to dive into this free tech tool and try it out with my class this year. Google Expedition- Google is amazing and constantly developing programs to make the classroom an engaging place. This program is one of those that got me sooooooo excited. I had the chance to try out Google Expedition with Google Cardboard at WITcon and it took my breath away. It allows us to take our students around the world on many different VR adventures. The app is free and my class will be seeing the world soon! Kahoot- I have used Kahoot this past year, but my hope is to use it more. I want to try and create my own Kahoot quizzes for my class, which I haven't done yet. If you don't know Kahoot is a website that allows teachers to create fun, multiple choice, timed quizzes. Students can log in with a code given by the teacher and take the quiz as a whole group online or I have seen teacher give the quizzes on the smart boards with the students showing their answer with a colored piece of paper. The Kahoot website is awesome because they have a library of quizzes you can use or you can create your own. It's a fun way to review for a test or practice skills in class. As a teacher, Kahoot allows us a quick way of seeing who is getting a concept and who is struggling. Weebly- I have just recently started my first Weebly Website. 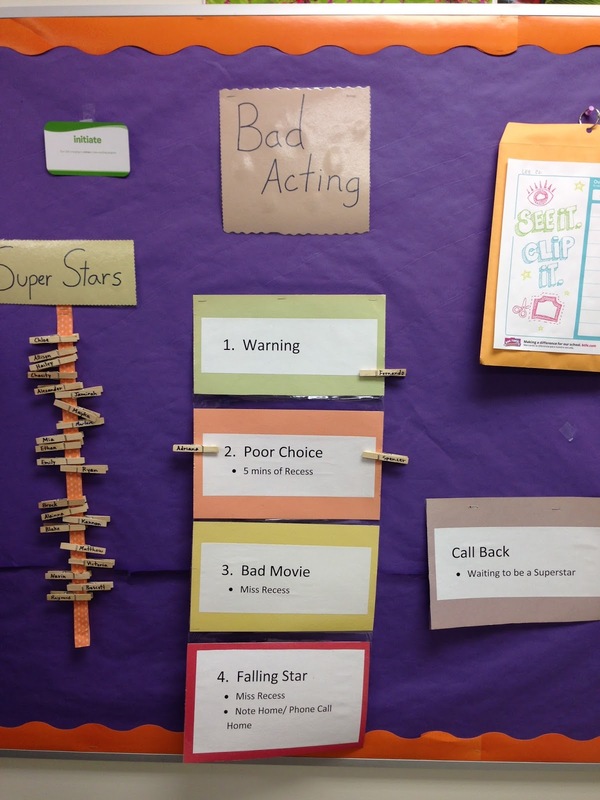 It is pretty user friendly and a great way to communicate all the amazing things going on in your class. The website will be my digital newsletter, a place to find resources, updates on our classroom, and so much more. I'm excited to use this new website to make my classroom more digital and accessible. What Tech Tools have you used and liked? What Tech Tools are you going to try this year? Everyone loves to feel good and there comes a point in the year when we really need to focus on the positive...this point might come sooner than we would hope. This activity is a great way to help refocus your class and help build on a positive classroom family. The activity is called Bags of Good Feelings and is super simple to set up. The materials you will need are paper bags, art supplies to decorate with, and scrap paper to write notes on. Ok, to start each student gets a paper bag. They must write their name large and neatly so other students can read it. I have done it where I personally have written them on the bags first or had the students write them on labels of some sorts to add to the bags. The students can decorate the bags as they would like with drawings and colors. I then tape them to a part of the wall so they can be seen and reached. After all bags are completed and taped up you can move to the written activity. This is a bag I created two years ago during the winter Olympics. Students are instructed to write positive notes to one another that are more than,"you are nice." I explain that students need to write complete sentences for each student and that they MUST write their name on each note. The notes need to point out something nice that person did, a personality trait you noticed, or an awesome character trait you witnessed. They should be different for each student and hand written. We do a practice one together on the board based on a teacher in the building (This year I plan on making the practice teacher a real bag and we will drop it off as a class. It might be a nice way to spread positive energy through the building). We talk about how we would describe this teacher and why we would describe them this way. What is special about this teacher? Have they done things for the school? Have they done things for you? Once we brainstorm the students write their own note to the teacher and we share them aloud. We discuss what we like about the student written notes and ways to improve them. Afterwards, the students get a class list and start working on class notes. I tend to set a due date for all the notes and only set aside maybe 10-20mins on the first day to work on it. I explain to the students that they need to work on them during their extra time after they complete class work and quietly during read aloud time. The majority of the students do a great job at writing and really enjoy doing them. They also can't wait to take their bag and read their notes. There are a couple of ways to do a note reveal. I tend to just let my students take their bags home to read, but you could make a reveal party where they can read them in class. You could also have students share one during a morning meeting at random. Students could also read their notes before placing them in the bags during Morning Meeting or just the last 10mins of class. There are so many ways to modify it to your class. 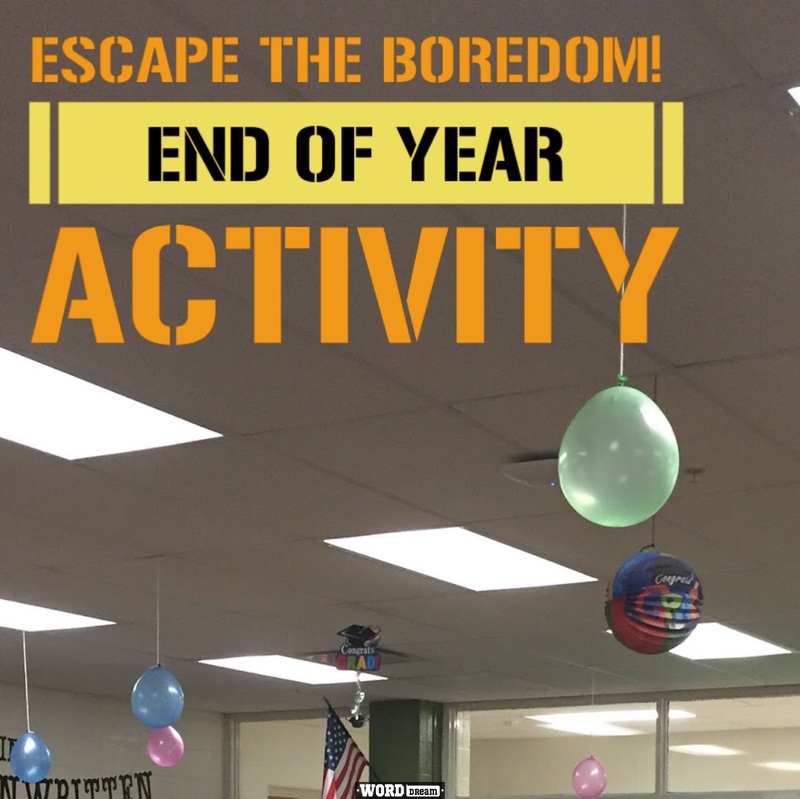 I would highly suggest this as a fun classroom, group, team building activity. It might take some time out of the class day, but it is so worth it to see the students highlighting each other's positive characteristics. It definitely helps me as a teacher when I read my own notes students send me. It refreshes our class and gives a positive lift to our classroom. What do you do in your class to build a positive atmosphere? 5th Grade can be a fun and trying age to teach. Students start to develop their sense of self at the same time the curriculum gets harder and the hormones kick in. Needless to say it has its ups and downs, but I wouldn't change it for the world. When I started teaching 5th Grade I actually came at a great time because so many things began to change and new traditions were just beginning. One of the veteran 5th Grade teachers had started a tradition now known as the 5th grade walk out. In the early stages 5th graders, on the last day of school, paraded through the halls with their backpacks as teachers, staff, and students lined the halls to clap and congratulate them on their last year in the building. Since then it has started to take on a life of its' own. Last year a neighboring college had a dance professor and a student come in work on connection skills. Then they taught the entire 5th grade a choreographed dance to proceed down the hallway to. The dance itself was created to an empowering song, Hall of Fame by The Script. Too be honest it seemed like a GREAT idea at first, then we had to think about the logistics of actually teaching the dance and making sure students could travel down the hallways safely. All in all it worked! We had all the grades line the hallways and the parents line the gym to watch as the students danced down the hall. It was the first event of its kind and the students loved every minute of it! This year we decided to continue this fun tradition. When I said decided, we really had no choice. The students who were 4th graders and watched the 5th graders do their dance last year told us just how excited they were to do a dance so.....kinda have to do it. So with limited time and a group of excited students I was tasked with finding a choreographer. I called JT but he was busy and so was Jlo. So with 3 years since the last time I danced I dusted off my notebook and dance shoes and got to work. I selected some songs for the students to vote on and they selected Gavin Degraw's song Fire. It was a great choice that had plenty of energy and great lyrics! I created the eight counts to go with the song and twice a week for 4-5 weeks the students learned the steps. It did take about 45mins out of the day, but it was so worth it. It allowed all of the 5th graders to bond and work together to make something AMAZING that was all there own! Students couldn't wait for this part or the day and I heard many parents say they would come home and practice. Some would even teach their younger siblings! This year we also changed how the walk out was set up. K-1 students sat in the cafeteria for a better view, while the remainder of the school lined the halls. The students did the dance about 4-5 times around the school, but they enjoyed every minute of it. The parents were the last stop in the gym and following the dance they got to take pictures and dry tears. It was a great moment for the kids and school. It got me tearful knowing this will be their last moment here in the elementary building, but they sure went out with a bang. This is a new tradition for our school, but one that I'm sure will last as long as I'm teaching. What End of Year Traditions does your school or classroom have? Let me know in the comments below! So it has been an eventful week between the Great Shake Competition and the field trips to visit the Jr Highs in town. One thing we made time for was to award a classroom MVP. If you are unaware an MVP is considered the Most Valuable Player and is given out to athletes in team sports. Since my classroom is hockey theme (check out my classroom link at the top) I decided to create this award to honor students who are doing amazing things in the classroom. This is my first year doing this activity and it has developed into something that is not only an honor, but it is really student driven. At first I selected students who I noticed working hard in small groups or improving in a subject, such as reading. I announced them in front of the whole class and awarded them the MVP necklace, which is just a beaded Blackhawks necklace. The students would clap and the MVP would wear the necklace all day. It started as a way for me to point out those students who I noticed were trying or those students who are constantly doing good things. After I had a group of three students I began to try something different. I put all the past MVP's in charge of choosing the next MVP. This could have crashed and burned or turned out great, and luckily the students really took it seriously. I told them that they had to nominate someone who followed the classroom rules or truly stood out as a superstar. I decided to call the group of students who earned the MVP award the Hall of Famers. Those who earned the MVP award would join the group and be able to help nominate the next MVP. The students would nominate a person and say why they thought they should be considered the MVP then there would be a vote. All members had to agree for the nominee to get the award. We tried to award students on Thursdays. Sometimes the group couldn't agree or wouldn't meet to discuss so some Thursday's we wouldn't have an MVP. When an MVP was selected it was kept a secret. On Thursday mornings, typically after our class had morning meeting, the Hall of Famers would line up in order of induction at the door. The newest member was at the end. I recently got a mini Stanley Cup and decided to do what Hockey Players do and pass the cup after a lap around the ice. I would play a song, currently One Direction's Drag Me Down, and the students would walk laps around the classroom with the cup. The leader would hold it for a lap then pass it back. Once they pass it the the next person in line they would go to the end of the line, thereby making the second person the leader. This continues till the person who was originally was last in line has the cup. That person would then do a lap the give the cup to the newest MVP. It can get pretty exciting as the kids are waiting on the edge of their seats to see who will get it next. I then give the MVP the Blackhawk necklace and they wear it all day. I've tried to choose music that is considered a pump up song to build excitement and I've even recently added a police light to give it sports ambiance. I've enjoyed doing this because it build students confidence and gives them something to push for. I have also enjoyed watching my Hall of Famers select students because they never put anyone down but instead select students to celebrate and often give great reasons. They get to run the show and I rarely if at all give input. They enjoy getting to be in charge and have that responsibility especially for something so positive. Recently outside the classroom I have showcased the Hall of Famers Club by taping up their picture with the MVP award necklace (sample picture above). This is a tribute to them but also a way to get other students to ask them about it. I think too often we get bogged down in the negative, whether it's what we need to get to in the subjects we teach, why students aren't completing their work, or the endless playground drama saga that replicate the last Days of our Lives episode. It's time that we make time to celebrate those students who always give their all and those students who are making gains. I always tell my Hall of Famers, the MVP award isn't about straight A's it's about who is trying. I'm sure you all have other amazing ideas you do in your classroom to celebrate the positive, so feel free to leave some of your own ideas below! Hope you have enjoyed reading about my classroom and our MVP awards! Until next Week! Make sure to share and follow me on Periscope and Twitter!